The following is an interview with the former Thames Sailing Club President - Mr. Dennis Peters. Dennis joined the Club in 1932, he had been a member for 74 years. Sadly he passed away in 2006. "In 1982, Thames Sailing Club presented me with a model of a Thames A-Rater to celebrate my 50 years association with the Club. It seems somewhat incongruous in this day and age to think of the difference between the Club then in 1932 and today because things have drastically changed. For example, when I joined the Club all those years ago, the boats, instead of being syndicated as they are today, were all owned by gentlemen of leisure who lived in and around Surbiton. They expected and demanded many tasks of their crew, including preparing their boats for racing and they also expected the crew to unrig their boats when racing had finished. One must remember that towards the end of the 19th Century, inland fresh water sailing was almost unknown. 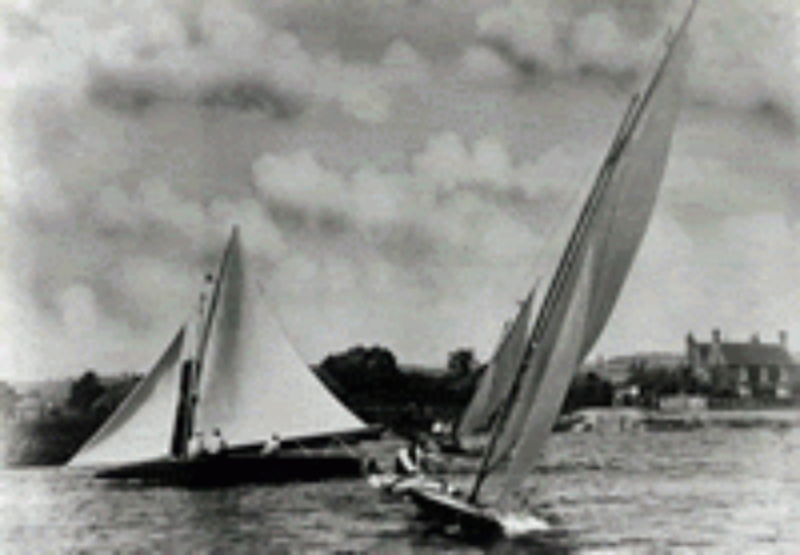 Gentlemen of some means in and around the Surbiton and old raterKingston areas who owned various types of boats decided they would like to join together as a club and have, what they deemed to call in those days, "match racing", one against the other. So they got together, and Thames Sailing Club was founded in 1870 , with the idea that they would formulate a set of rules and race. And so they did. 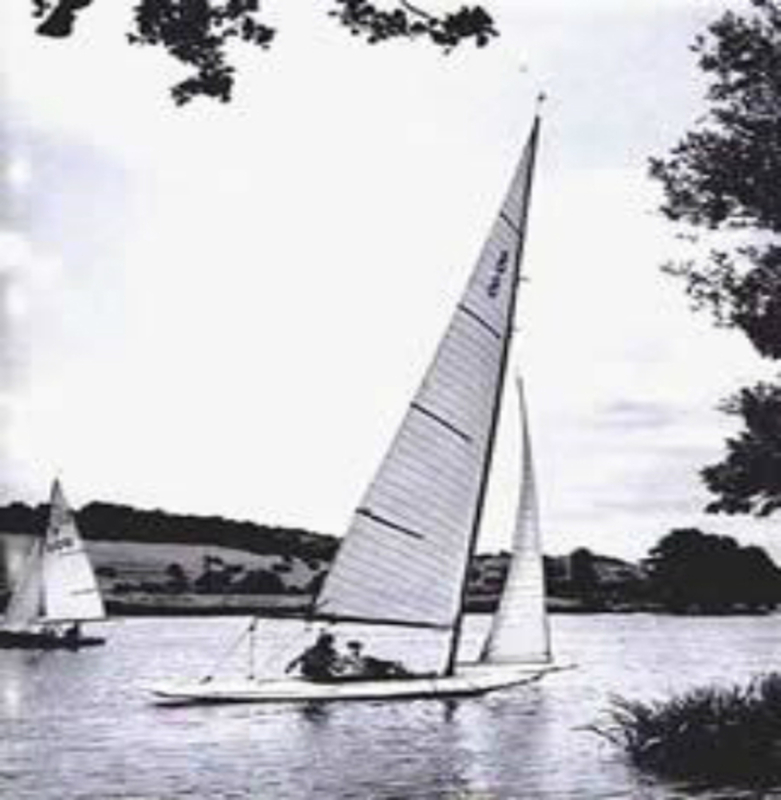 It followed in successive years that other river clubs were born, of which Upper Thames Sailing Club at Bourne End is one, and Tamesis Club at Teddington another, and so on. 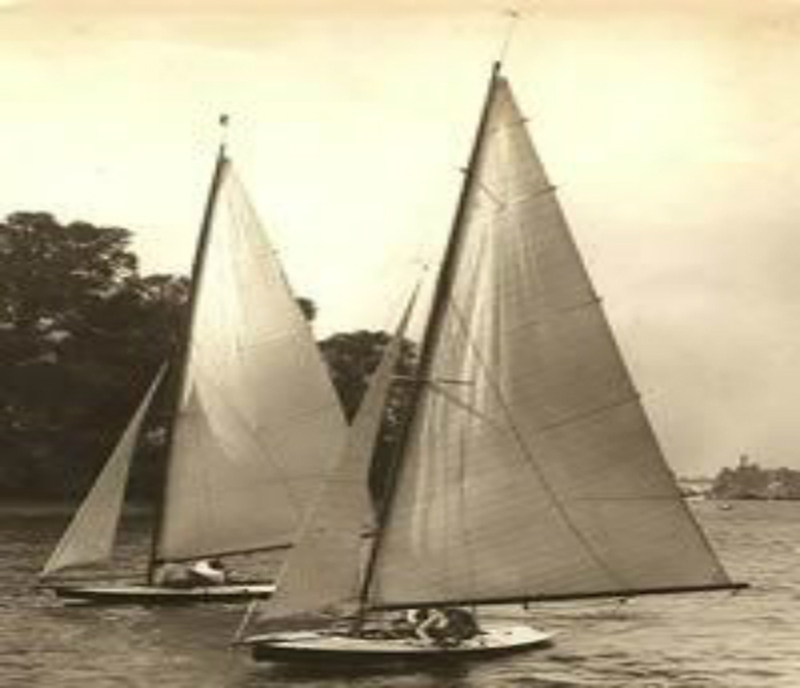 Racing began in earnest and a form of rules was drawn up, basically along the lines of the RYA (Royal Yachting Association) ones. The Upper Thames Sailing Club at Bourne End, which enjoyed a good reach of river, then started what was then and goes on today to be the Bourne End Week, where all the boats from all the clubs came to compete in racing for a week in May. The river clubs attracted a very large number of people. If one may say so, of quite a high social degree, even royalty. So much so that during the Bourne End week, Queen Victoria herself was gracious enough to present a challenge cup, known as the Queen's Cup, which is now raced for every year and is deemed to be of a great honour to the helmsman and crew who win it. The Thames Challenge Cup was also donated. old raterThis was a cup awarded for the best aggregate of the whole week's racing at Bourne End, which again is very much sought after. Among famous people competing at this time were The Duke of Branganca who presented a challenge bowl to be raced for at the Tamesis Club at Teddington, originally at Easter but these days in September. The Thames Sailing Club first acquired the premises on which they now stand by virtue of a lease from what was then known as The Chelsea Water Company. This subsequently became The Metropolitan Water Board which then became Thames Water and now The National Rivers Authority, so we have seen many landlords in our time. However, in 1992, when the chance came for us to acquire the freehold of our Club, having been tenants for over 100 years, negotiations took place and after quite a struggle we eventually managed to buy our own freehold and now we are our own masters. Going back to the time when I joined the Club in the early 1930's, it was as I said earlier, a very different place for our members. In the first place, ladies who might be permitted to crew, were not allowed to be members in their own right and were never allowed into the bar! This was considered to be the domain of the gentlemen! However, as society progressed, the Club changed this attitude and we are now very proud to see not only full membership for ladies but even lady Flag Officers! The ladies who sail the boats sail in a manner which is equal to the men - and long may it continue!" British Pathe has a lovely collection of old videos of the A Raters in action at Bourne End from 1923 through to 1993. Click Play below to show four videos from 1923, 1926, 1929 and 1933.